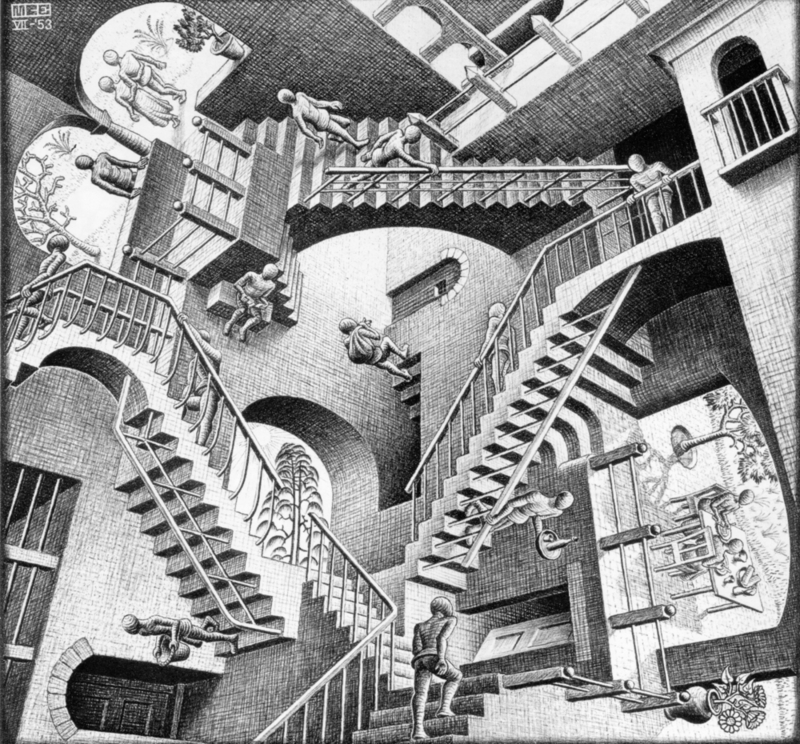 How to make sense of this picture in which perspectives are multiple? Is there a bottom or a top? A correct way to look at it or rather every one bound to be incomplete? Is looking at this picture all that different from looking at the law, or at facts, and trying to understand them, to make sense out of them? No pre-established order, perhaps no ‘right’ perspective but many questions and many different approaches. Problematic and whimsical.